NEW DELHI: France has denied the media reports suggesting Pakistani pilots received training for Rafale jets that were sold to Qatar. Alexandre Ziegler, Ambassador of France to India, replied to a tweet claiming that the ‘first batch of pilots trained for Qatar in November 2017 were Pakistani exchange officers’. I can confirm that it is fake news, the envoy said. Senior Indian journalists were sharing and commenting on the news item blaming the French government for giving Pakistan access to the advanced aircraft. "France's @Dassault_OnAir has handed over the first Rafale combat jet to Qatar. The only catch? The first lot of pilots trained for Qatar in France are 'Pakistani exchange officers',” Rezaul Hasan Laskar, Hindustan Times' Foreign Editor had first taken up the matter. Published in February, a news story in AINonline (Aviation International News) regarding the handing over of first Rafale jet, provided details of Qatar’s deal with Dassault Aviation for the purchase of 24 fighter jets. 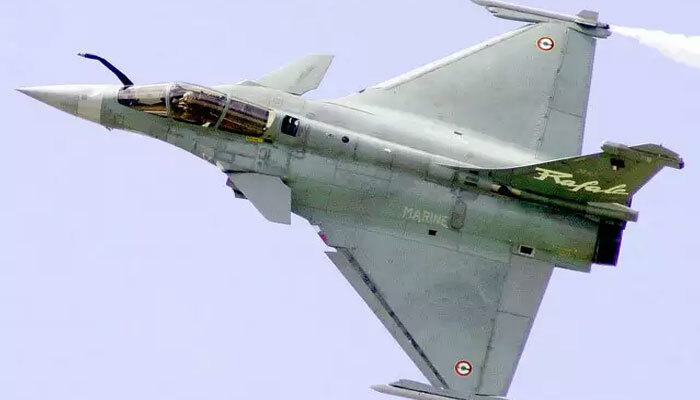 Indian government has also signed a ‘shady’ deal with the French plane maker to buy fighter aircraft. The agreement has come under severe criticism by the opposition parties who have accused Prime Minister Narendra Modi of taking bribe from the company.